Good Morning! Trying not to wait till the last minute to blog!! 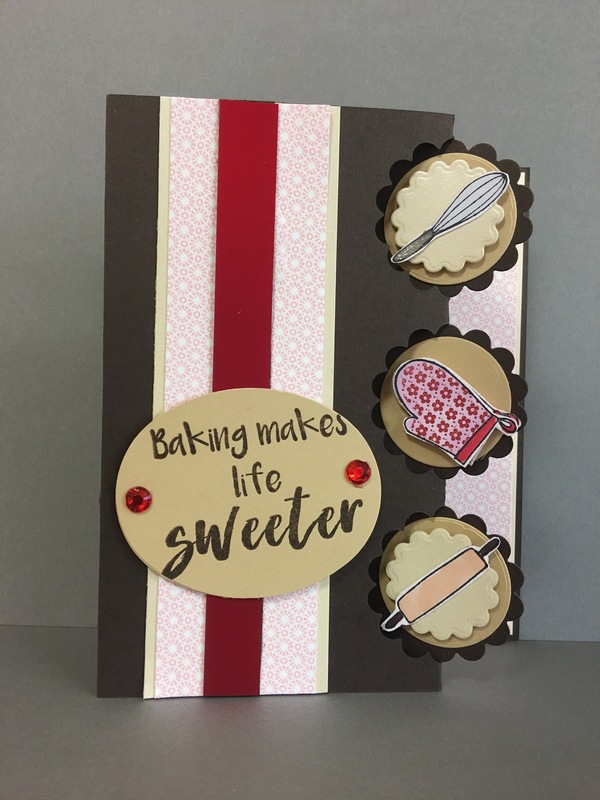 😜 Another card from Sarah at The Paper Cut using the small baking stamps. I made this card at the Paper Cut when a bunch of ladies and I went up to Appleton from Creative Cards in Villa Park. Looking forward to this upcoming weekend to when you come to visit. We will not be in Villa Park but they will be doing some of our make n takes! !